Guided tours at the Silver Mountain Experience at Silver Mountain Experience01970 890620work Guided TourEmbark on an adventure with a choice of guided tours both above and below ground, discovering the history of our original Victorian Silver-Lead Mine, or experience Welsh fantasy and myth in one of our theatrical experiences. So what are you waiting for? Come and explore! 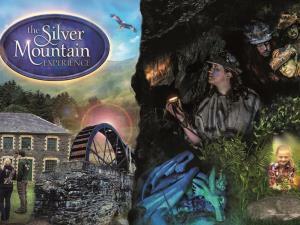 A Miner's Life: this guided tour immerses you in the original and rare setting of our 250+ year old Silver-Lead mine, both above and below ground and with exclusive access to the Ore Crusher. Discover the fascinating facts of mining life in by-gone times as it would have been seen through the eyes of a miner. Dragon's Tale, A Knight's Quest (NEW STORY returns in 2019): Join us on an exciting adventure searching for Grotty, Silver Mountain's mystical, secretive and shy Dragon. Spot the signs and find the clues in the new story, A Knight's Quest, which returns by popular demand. Our actor-lead adventure is perfect for families and young explorers. 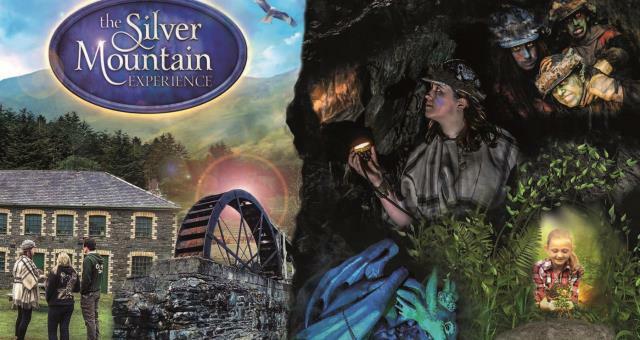 Embark on an adventure with a choice of guided tours both above and below ground, discovering the history of our original Victorian Silver-Lead Mine, or experience Welsh fantasy and myth in one of our theatrical experiences. So what are you waiting for? Come and explore!